← Brazil, Indiana. April 22nd, 2011. 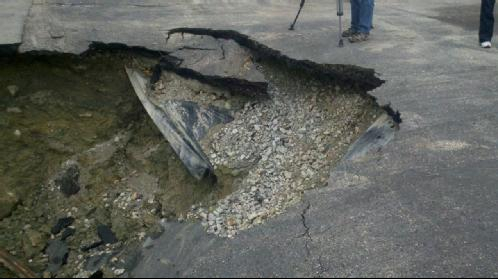 The daily doses of rain are making a big problem in one Anderson Township parking lot even bigger. 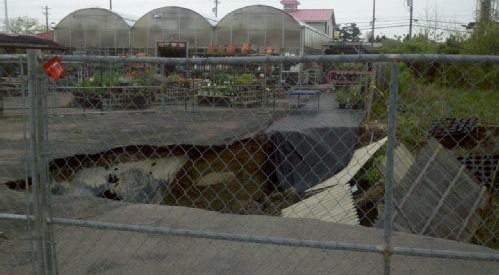 A sinkhole has opened up in the back of Plants by Wolfangel in the 8100 block of Beechmont Avenue. 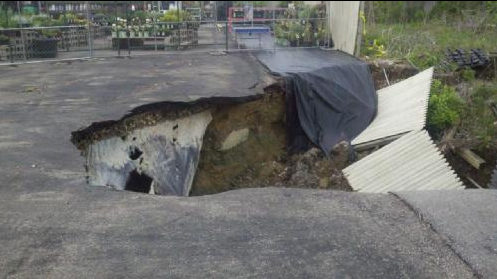 News 5’s Andrew Setters said the hole started a few days ago, but has expanded to consume almost a quarter of the parking lot, along with some of the landscaping company’s displays, plants and fencing. 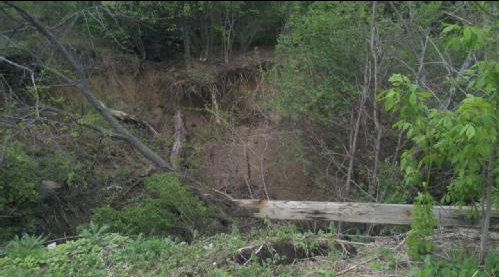 The hole is now more than 20 feet deep and extends back into the wooded area behind the parking lot. 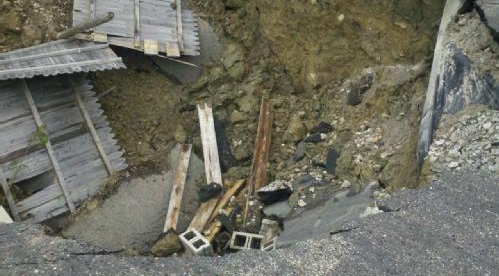 Setters said the company told him that the hole can’t be fixed until the rain stops, and even then, may take three to four weeks to repair. 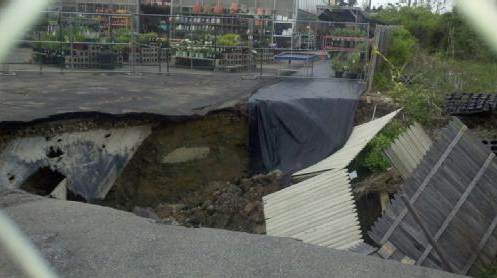 This entry was posted in Pictures and tagged Anderson Township, huge sinkhole, Ohio, Ohio sInkhole, sinkhole. Bookmark the permalink.